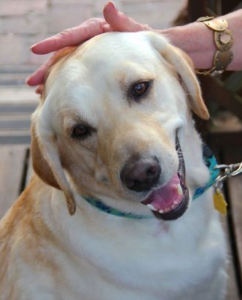 Sarasota Dog Friendly events - what's happening this weekend and next! And just like that, it’s SEASON! So many fun things happening this weekend that are dog-friendly. Saturday morning 11/17 at 10:30 – The Sarasota Dog Meetup Group will be at Arlington Paw Park. There are large and small parks, some seating and some shade. Come out and meet friendly dog folk! This Meetup’s mission is to socialize pups and their people, to provide educational resources to owners through Wag and Learn sessions. Check out deets on Arlington Paw Park here. 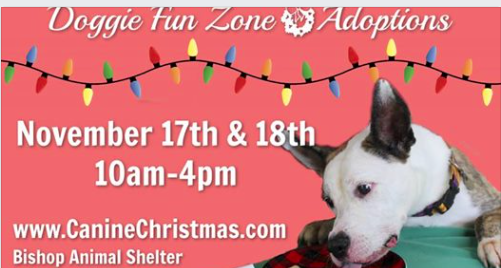 Saturday and Sunday 11/17 and 18 is the 20th Annual Canine Christmas, a festival of holiday fun for dogs and people. You’ll find unique gifts for dog lovers, treats and advice from local experts. Looking to adopt? Plenty of pet rescues will be on site with adorable adoptable. 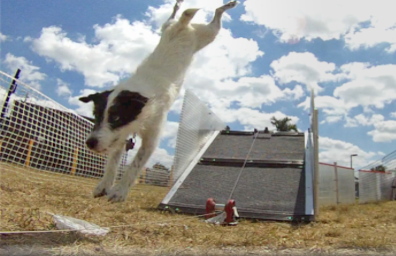 Both days at Canine Christmas, the Doggie Fun Zone will offer lure coursing and games for dogs. Next weekend … on Saturday 11/24 – The 73° Flea One Year Anniversary Bash will be held at JDubs – and friendly, leashed dogs are welcome. Cool Stuff for dogs and people too from 11 to 4. Don’t miss this! We’re celebrating 1 year of arts, music, beer and food that = 73º Flea! Join us on Small Business Saturday for the ultimate shopping experience you won’t find anywhere else in town! 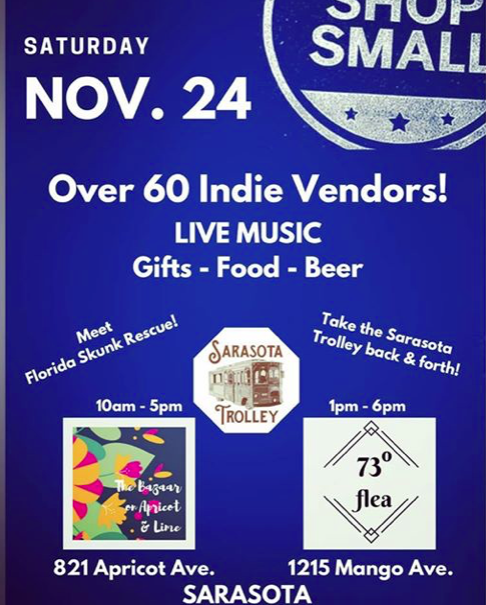 Our little brewery market has expanded to 4 different monthly, pop-up locations in Sarasota and Bradenton in just over a year. We pride ourselves in carefully curating an indie market with goods made or designed by local artists and makers or fair trade products. Come party with us where it all began at JDub’s Brewing Company & Tap Room. We’ll have live music, food truck and vegan desserts on-site. Let’s not forget we’ll be packing in 30 vendors for our LARGEST market yet! We’ve also teamed up with The Bazaar on Apricot & Lime to bring you another 30 vendors for a total of 60!Find the perfect holiday gift including vintage, art. clothes, upcycled, hand rolled cigars, body care, handbags, plants, honey, knits, jewelry, dog treats, paper goods and SO much more. If you attended last year, you know the kind of blow out party we had so let’s make this party bigger and better than ever!! Have an event that is dog-friendly – let us know and we’ll share, just drop a note with a picture please to MaryLou@sarasotadog.com. See you around town!